Portland Beverage Dispenser - Cal-Mil Plastic Products Inc. 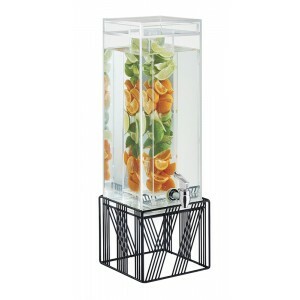 Serve delicious, fruit infused water and a number of other beverages with our 3 gallon Portland Beverage Dispenser. The black wire base is both durable and pleasing to the eye, so you will be sure to 'wow' your customers.